Hello gentlemen. 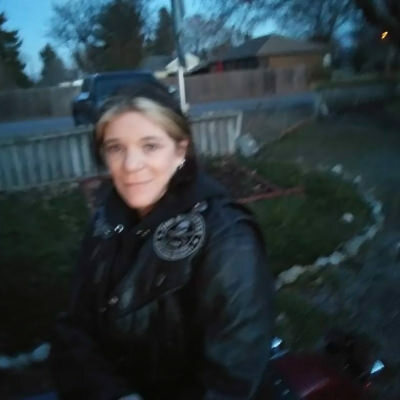 Lady Rider here looking for some companionship and a riding partner. Out of a 17 year marriage, still broken and trying to pick up the pieces and start a new life I'm pretty easy-going I am hard-working I love animals and I love the wind in my face . The outdoors is one of my favorite places to be and I love the ocean my two dogs and my Harley are my life . Looking for a gentleman that is willing to give a broken lady a chance to find happiness again . Vickings, walking dead,game of thrones, Bates motel,the good doctor. I am old school and I'm looking for an old-school kind of a guy. Looking for a partner that will accept me for who I am and not try to change me someone with a great sense of humor that can make me laugh a man that is not afraid to chip in and get his hands dirty. Someone that believes in 50/50 and someone that knows how to treat a woman rite. Will be nice to have a man that doesn't mind taking me out to dinner for time to time or just to go out and do something even the occasional bouquet of flowers is appreciated. 17 years of marriage and didn't get a whole lot of this so changing my life and this is what I'm searching for.